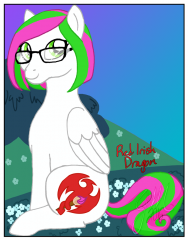 Showing results for tags 'ponysona'. 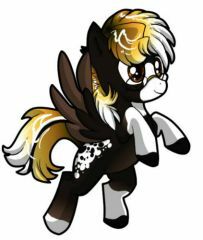 It will be a day-to-day slice-of-life rp about my ponysona meeting various other ponies in the part. Unlimited sign-up. 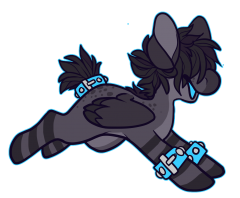 The only rule is that the OC used must be your ponysona. Just a quick scribble of Vanilla Pop~ It's been a while since I've drawn a pony, so I figured it'd be fun to do something quick like a badge or profile photo. 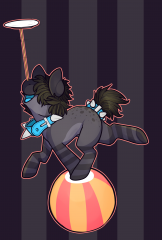 So I made a ponysona... again. 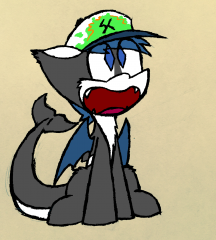 His name is Gabe, (Also my name) He has a story around him. 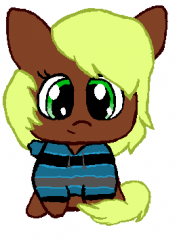 He lives with Trixie who I made OOC a bit. He or 'I' as he is referred to in my stories he is a basic unicorn. 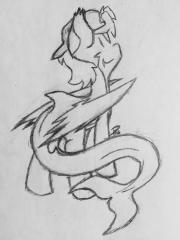 He works as a arcade pony for a little bit of time, as you can see I am using a picture with Trixie, and he is a blank flank. He has a talent this pic is just outdated a tad. Anyway, I like him. 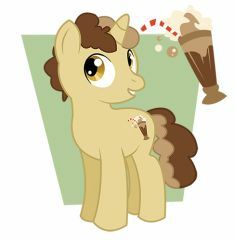 Even though he isn't my only ponysona. 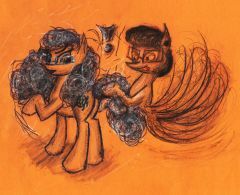 I do really like him, I still can't draw for my life, Trixie was edited in and my ponysona was made with Pony Creator v3. 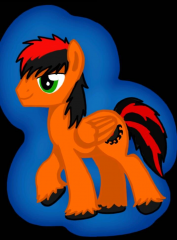 He I tried to make him share my eye color his coat is more like my hair though. Oh well. 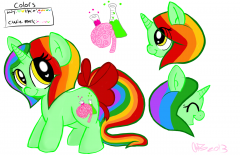 My ponysona needed a crisper, more accurate ref, so here it is. This is Papercut's final name/design. She looks.. unamused, which is honestly how you'll find me 90% of the time. 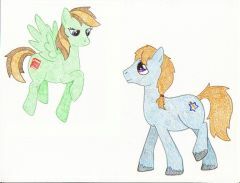 A little bit of fan art featuring my special friend Brianblackberry's personal ponysona and my own. 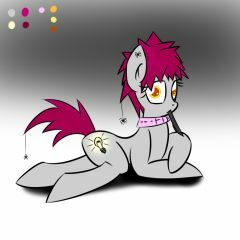 My cutie mark is a book, because I love reading and learning new things. I would love to live in a library like Twilight Sparkle. 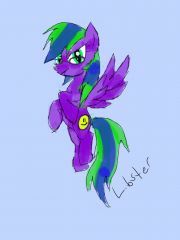 Hey scamps, I made a ponysona! Do you like her? Trying out some new stuff! 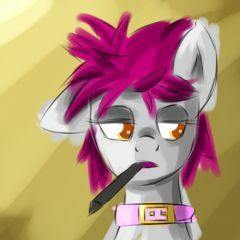 Also new avatar of my ponysona Kryptfoal. I may switch back to Rarity some time, but this came out too well for me not to use like, everywhere! 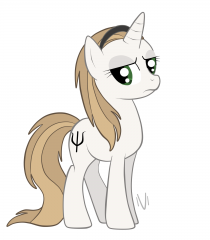 Here's what I would consider the representation of "me" if I were a Pony. 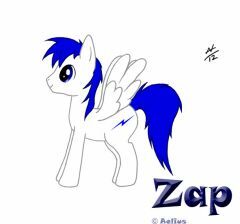 My character, Zap. 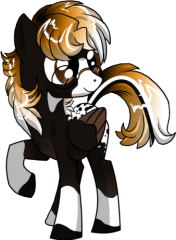 My ponysona again! 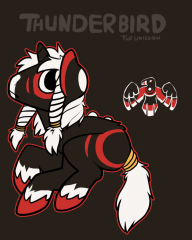 She is based off an Appaloosa and a Rocky Mountain horse design.